Jesse H. and Beulah Chanley Cox had a vision for Indiana University: that it should always serve as an academic haven for Indiana’s hardest-working residents. Today, the Cox Scholars Program exists to bring that vision to life. 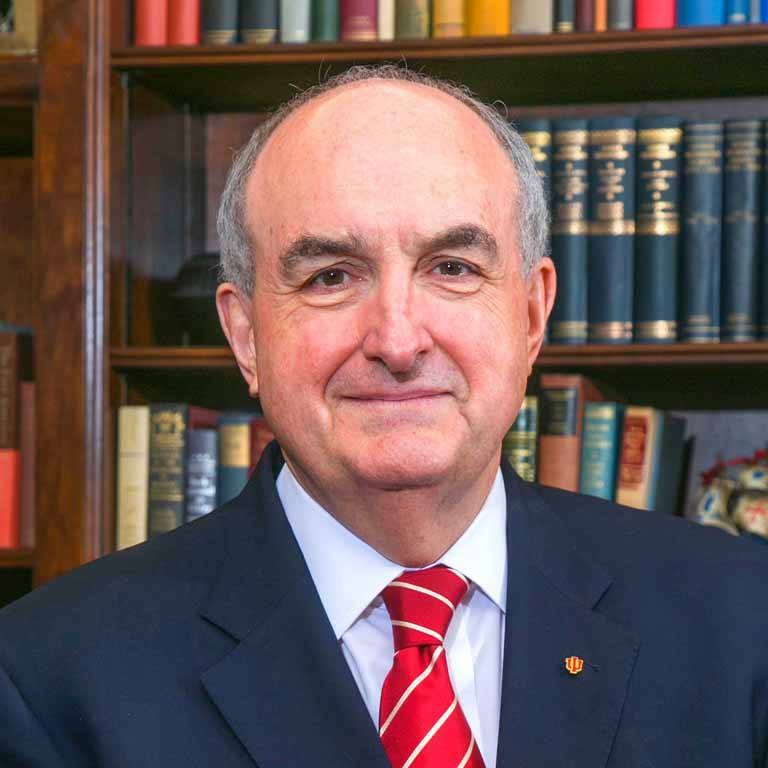 It’s the largest donor-funded scholarship program on the IU Bloomington campus. Six different scholarships currently bear the Cox name. If you’re an incoming or currently enrolled IU student who maintains solid academic performance while working a part-time job, you might be eligible for a Cox Scholarship! Jesse’s spirit will live on through future generations of outstanding, hardworking students who follow the path he has set and seek to realize their grandest dreams through an IU education. Jesse Cox was a Hoosier through and through. 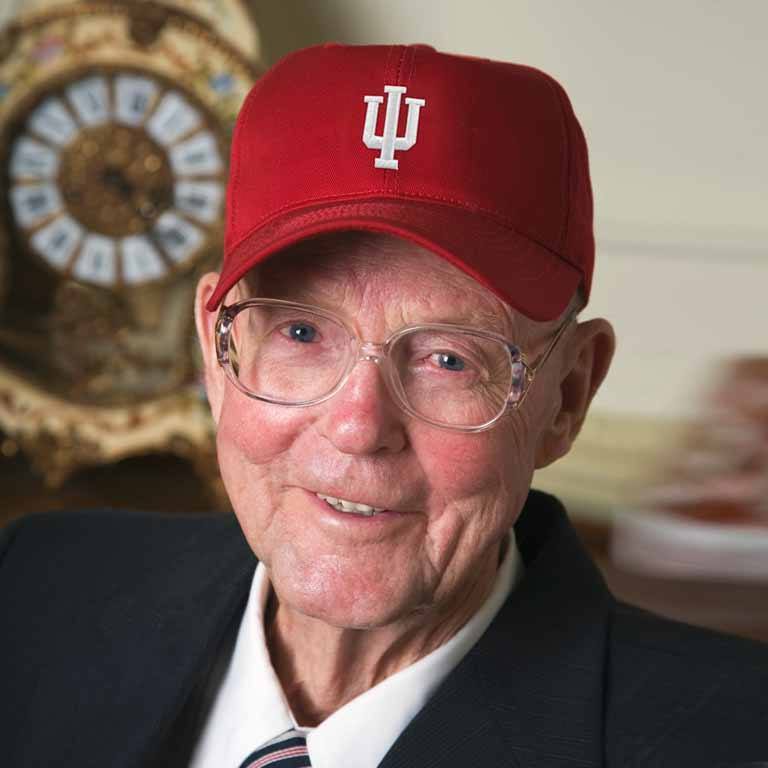 In his later years, he frequently wore a red IU baseball cap to show his IU pride. In fact, he had an IU baseball cap in every color! Today, new Cox Scholars receive a red baseball cap to help ensure that Jesse’s spirit of generosity goes on.